The role of women in families and communities and in the Catholic Church is the focus of this year’s Aboriginal and Torres Strait Islander Sunday, to be celebrated on July 1. The theme for this year’s celebration is “Because of her, we can” – which is shared with the theme for NAIDOC week, to be held from July 8-15. In its annual message, the Australian Catholic Bishops Conference praised the role of women, especially mothers and grandmothers, in the life of Aboriginal and Torres Strait Islander communities. It also spoke of the role model of the Virgin Mary in the life of the Catholic Church. The message says that in the face of injustice in various ways, Indigenous women have “battled, and largely succeeded, in holding Indigenous families together”. In a video that shares the bishops’ message and images of Indigenous life and worship, Bishop Christopher Saunders of Broome explains that the experiences of many Indigenous women are captured in the iconic Marian image of the Pieta – depicting Mary holding the broken body of Jesus. “The Pieta is a prayerful image of motherhood to be nurtured, supported and prayed for in our community. The loving care that this masterpiece portrays cannot be separated from the sorrow of the reality it represents,” Bishop Saunders said, quoting from the bishops’ message. John Lochowiak, chairman of the National Aboriginal and Torres Strait Islander Catholic Council, said the 2018 theme is a fitting tribute to Indigenous women. “The phrase ‘Because of her, we can’ is relevant to both our culture and to the Marian tradition,” he said. 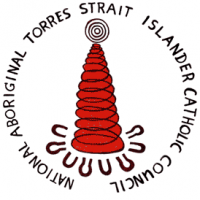 Mr Lochowiak said the number of Aboriginal and Torres Strait Islander Catholics has grown by 7 per cent since the last Census. Aboriginal and Torres Strait Islander Sunday, which has been on the Church’s liturgical calendar for nearly 30 years, is a chance to celebrate the contributions and gifts of Australia’s First Peoples. 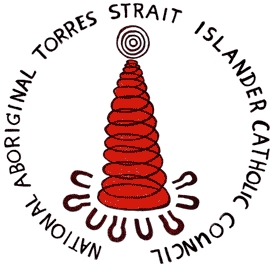 “It is an opportunity for Aboriginal and Torres Strait Islander and non-Indigenous Catholics to sit side by side in churches across Australia in a gesture of practical reconciliation,” he said. This entry was posted in Uncategorized on June 26, 2018 by ACBC Communications.